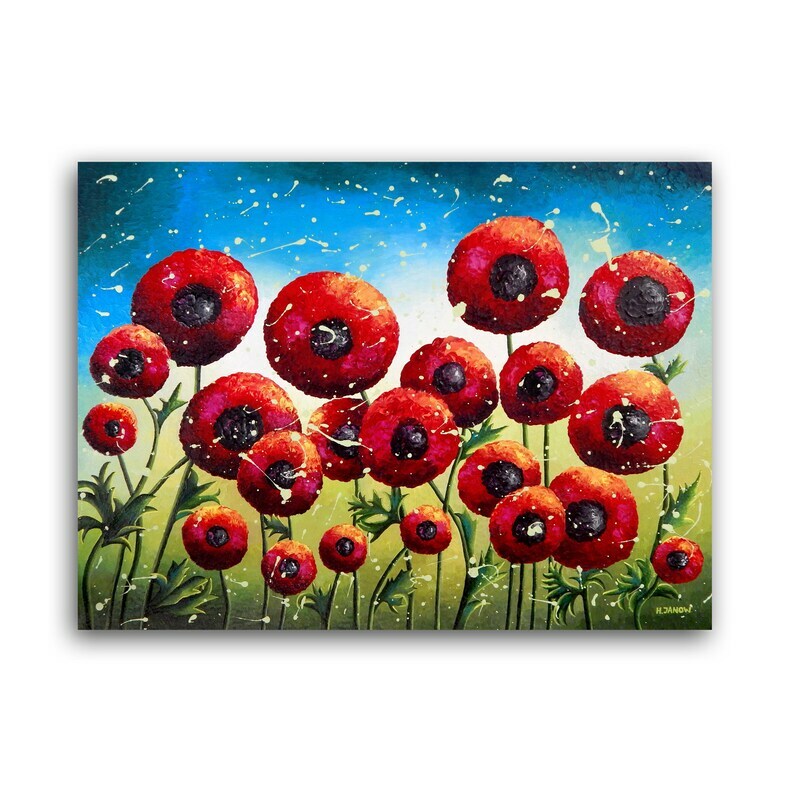 This beautiful work of art is depicting the abstract, somewhat dreamy red poppy flower field. If you have redecorating plans, make sure to check out this gorgeous, one of a kind painting on canvas! The vivid colors of this artwork make it a perfect pick for bedroom or living room decoration. The painting is created on gallery wrapped canvas using my unique acrylic pouring technique! Beautifully textured! • Wired and ready to hang right out the package! • Sides are painted in black - no frame required! • Certificate of Authenticity is also included, signed and dated by me, the artist. Terms of sale: All rights to the artwork reserved by Helen Janow Miqueo, the artist. My art is inspired by nature. I am always in awe with nature’s extraordinary creative force, spirituality and beauty! My art is highly collectible due to its unique painting technique and recognizable style.